Stan State has earned national attention for the way it improves the lives of its students, and Alejandro Martinez is a shining example of that quality. Graduating in the lower half of his class at Rodriguez High School in Fairfield, Martinez was told by an advisor that his best chance to succeed in life was to follow his older brother into the Marines. 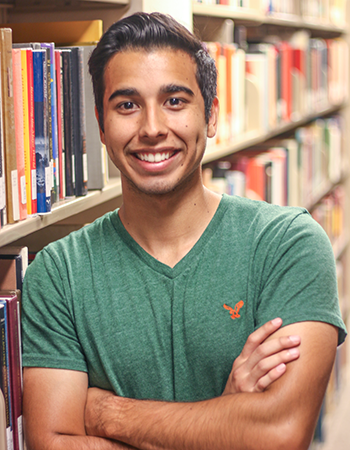 But Martinez, despite his lacking high school grades, wanted to pursue his college education. He wanted to be the first in his family to earn a college degree. Martinez was chosen to be Stan State’s representative to the Panetta Institute's Congressional Internship Program in 2016, and was accepted to study law at multiple law schools, choosing UC Davis. This success story is far from over.